Millennium 7 Publishing Co.: YOUR Improved 2019 Social Media Presence? 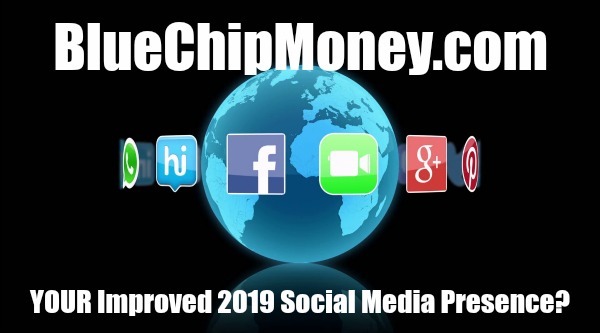 YOUR Improved 2019 Social Media Presence? 6 Tips to improve your social media presence.. It's become nearly impossible to grow your customer base and sales without a social media presence. Here are six tips to improve your social media presence in 2019. If you want to improve your social media presence, you need to post on social media often and at the optimal times. In fact, according to studies, businesses should be tweeting 15 times per day. But as a business owner, you don't have enough time in your day to constantly be logging in to all your social media accounts. That's why you need to use the right tools. So, instead of focusing so much on selling, you need to focus more on helping people. Using your social media platforms as a customer service platform will send more users to your social media and make it easier for them to solve their problems. You can even create a Facebook chatbot that can answer questions when you're not around. Customers will also be more willing to buy from you when they trust that you'll help them with their issues quickly. Start promoting your social media accounts to your customers and ask them to interact with you on your profiles. You can add social media icons to your site, add your social media feeds to your sidebar, tell people to follow you on social media at the end of your blog posts, and promote your social media accounts in your email marketing. The more people are aware of your presence on social media, the bigger it will be. You can stay on top of trends just by taking a look at what's going on. For instance, on Twitter you can see the top trending hashtags on the left side on the homepage in the Trends for You section. Look at what hashtags you can use to get more views. While it helps to use hashtags that relate to your business, they don't have to be strictly relevant. If your accounting company can create a fun post for #NationalDonutDay, go for it. It can be difficult to get noticed in crowded social media feeds, so you need to make your business stand out. One of the best ways to stand out on social media and increase your presence is to focus on using eye-catching visuals. Try to avoid using too many boring stock photos. Instead, focus on sharing images that will connect with users. Share high-quality behind-the-scenes photos and people using your products. You can even share your customers' photos of them interacting with your product with their permission, which also creates social proof. Guest Authored By Syed Balkhi. Syed is a 27 year old award-winning entrepreneur with a strong 8 figure online business. He was recognized as the top 100 entrepreneur under the age of 30 by the United Nations. He enjoys building products that level the playing field for small business owners to better compete with the big guys. Follow Syed on Twitter. Related Article: Increase YOUR Social Media Engagement?